Visual Messaging Board and song lyrics. 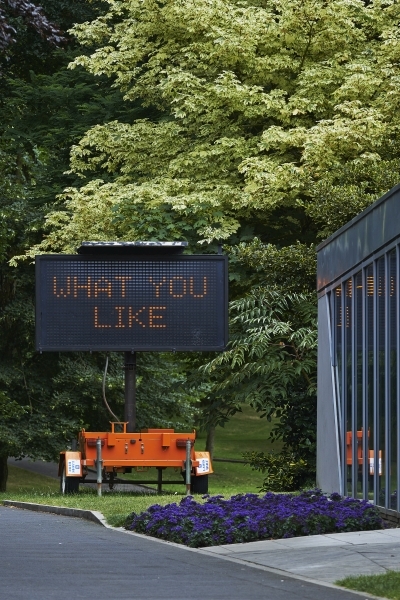 Variable Message Boards are used to alert motorists to temporary shifts in the flow of things. 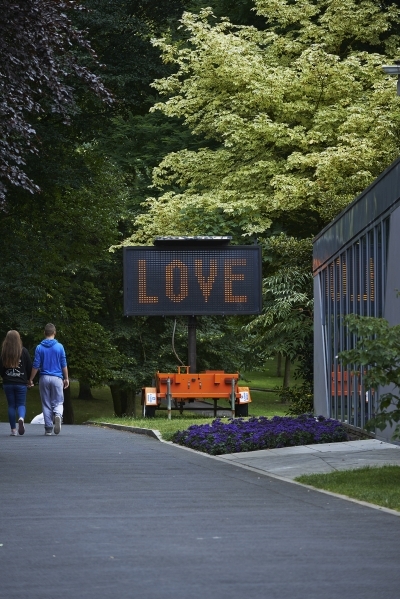 We put one in the park adjacent to Limerick City Gallery of Art, looping through some lyrics from Keeping Up by Arthur Russell. Produced with an awareness of The ELIZA Effect and some knowledge of trends in data harvesting and Big Data, among other things. 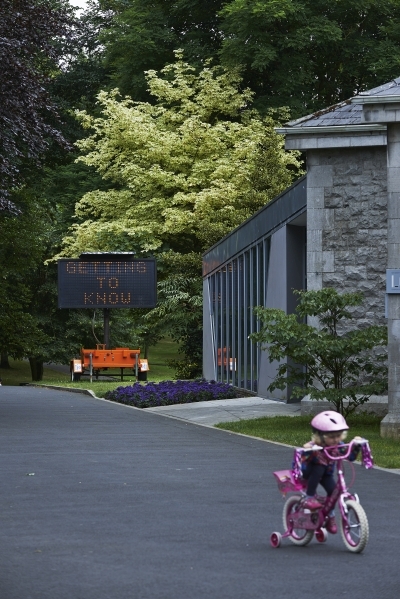 Installed in People's Park, Limerick, adjacent to Limerick City Gallery of Art, for the duration of PROTOTYPES.